I picked up this pair of chairs from Consignment 1st for a great deal close to five years and always wanted to recover them (forgot to take a before pic) but they were peach and a cheesy gold. In a moment of desiring to recover them I ripped the fabric off one around three years ago and the loose fabric has laid over it since. I picked up a flowered print at Hobby Lobby several months ago on sale for $5 came home and recovered it the next day, even cut out the pattern for the second chair. But after all that hard work I realized I did it so fast because I would have chickened out because it still was not “it” for me. I always liked the pattern on the peach fabric and recently had the thought “why don’t I just paint it?” I paint everything else! So that is what I have done and it turned out very well!! The original patterned fabric turned out a little better than the new smooth fabric (wish I had never ripped off the original) but I am super happy with both. I didn’t get the pattern 100% correct on the smooth fabric but I see now that I have a picture side by side they are not exactly the same size so I will just use that excuse 🙂 I used paint I had on hand. 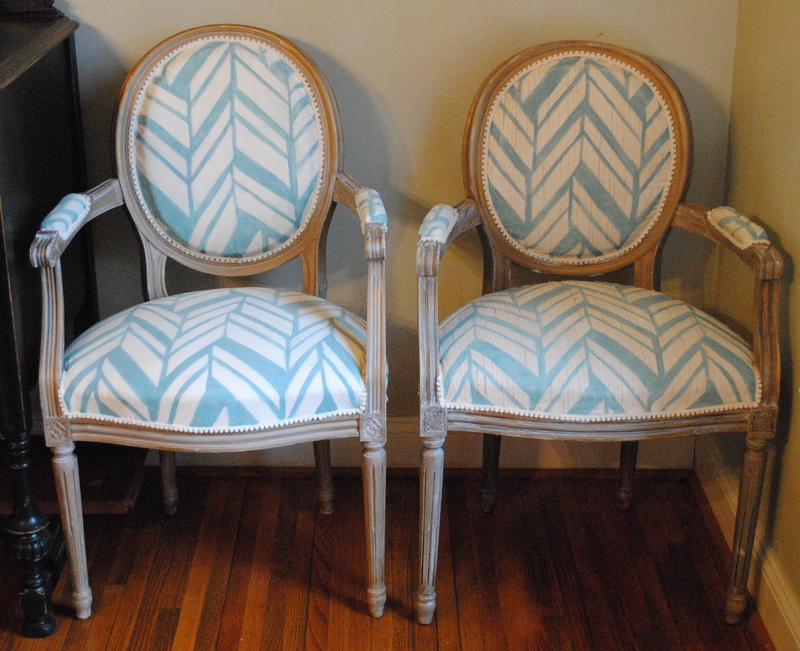 White mixed with a little water and painted all of both, then went back with Annie Sloan Provence that I had on hand. I used a foam sanding sponge between coats and it’s actually very soft. 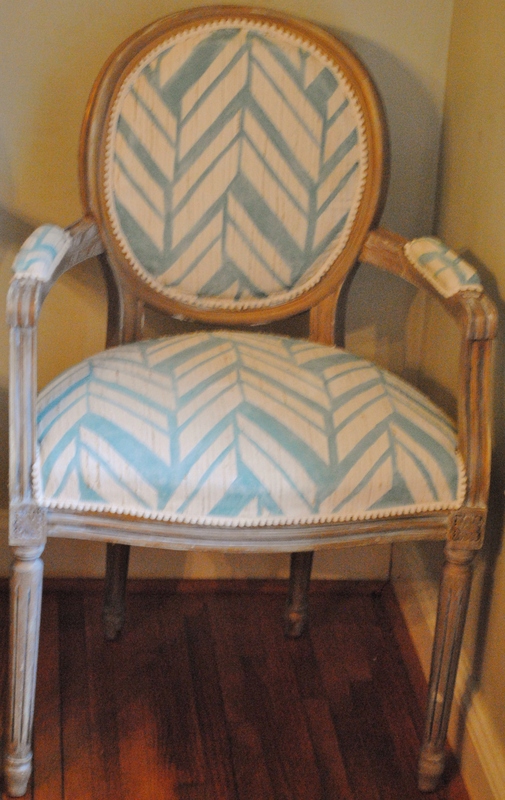 I put new trim on the existing fabric chair to match the new fabric chair.